Days after the groundbreaking news that the FBI would be reopening an investigation into Hillary Clinton’s use of private email servers, they have followed up with a release of a trove of documents regarding Bill Clinton’s pardon of Marc Rich in 2001. The FBI released 129 pages of documents Monday that relate to former President Bill Clinton’s pardon of fugitive financier Marc Rich over 15 years ago. Rich’s marriage to a Democratic donor launched an FBI investigation into the pardon, but it was closed without charges in 2005. The FBI announced the release on its FBI Records Vault on Tuesday morning. The vault is where all Freedom of Information Act (FOIA) requests are released, but the timing is still questionable to many bipartisan lawmakers, such as Senate Judiciary Committee Chairman Senator Chuck Grassley (R-Iowa), who wrote a letter to FBI Director James Comey, questioning the need to notify Congress about the newly discovered emails. The FBI has yet to offer an explanation on why they publicized the release on Twitter. However, a law enforcement official told Bloomberg that it was the result of the FBI completing a FOIA request. The Clinton campaign remains skeptical with spokesman Brian Fallon taking to Twitter to express his concerns. Absent a FOIA litigation deadline, this is odd. Marc Rich was indicted in 1983 on federal charges of tax evasion and making illegal deals with Iran during an embargo. Rich responded to the charges by fleeing to Switzerland, where he remained until he was pardoned by Bill Clinton in the last hours of his presidency in January 2001. 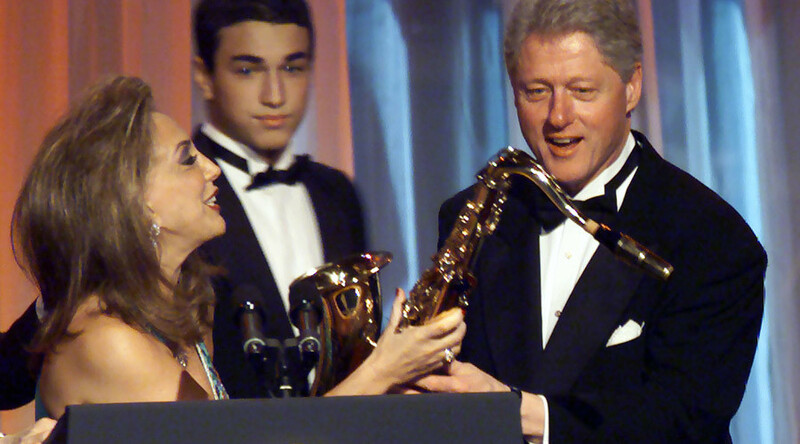 The pardon was controversial, as Rich’s ex-wife, Denise, had made donations exceeding $1 million to the Democratic Party, including a $450,000 donation to the William J. Clinton Presidential Center and Park. Almost immediately after the pardon, the ex-president faced accusations that the pardon had been purchased in a quid-pro-quo move. Even his staunchest supporters struggled to defend it. Former President Jimmy Carter believed the last-minute pardon was “one of his most serious mistakes in the way he handled the pardon situation the last few hours he was in office," he told CBS News. The notoriously genteel Carter went so far as to say, "I don't think there is any doubt that some of the factors in his pardon were attributable to his large gifts. In my opinion, that was disgraceful." His defense of the Rich pardon hinged on the fact that he “understood that the other oil companies that had structured transactions like those on which Mr. Rich and Mr. Green were indicted were instead sued civilly by the government” as well as tax experts, Bernard Wolfman of Harvard Law School and Martin Ginsburg of Georgetown University Law Center, reviewing the case and determining that the company had in fact not committed the crimes of which they were accused. The four-year investigation was supervised by then-US Attorney James Comey, who determined that while Clinton did not follow standard protocol in the pardon, he did not violate any laws and decided against pressing charges. Some of the documents pertaining to this investigation leave many wondering what insight they offer into the Clintons’motivations. Unfortunately, there’s not much. The recent dump is only “part 1.” Almost a half of the released pages have been completely redacted, and the remaining majority is heavily redacted as well.